Learning Spanish is a big challenge and as with any other language, it takes a lot of practice and perseverance. 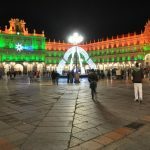 At On-Español, an online Spanish Academy that offers interactive and dynamic Spanish classes, we are aware of the difficulties that students face when going through this learning process and, for that reason, we have decided to create small grammar bites posts that will help you acquire the necessary knowledge to communicate properly in Spanish. In this post we are going to review the adverbs of quantity… are you ready? Keep on reading! An adverb is a word that answers to the questions “when”, “where?”, “how?”, among others, and they express manner, place, time, quantity, statement, denial, doubt, exclusion and inclusion. Below you can find a list of the different type of adverbs we use in Spanish though, as mentioned earlier, in this post we are going to focus on the adverbs of quantity. What are adverbs of quantity? The adverbs of quantity, or “adverbios de cantidad”, as we would call them in Spanish, are those words that complement a verb, a noun or another adverb, adding more information about these. Basically, these words have the objective of giving more details about the main action in a sentence. El médico está algo ocupado y no podrá atenderlo. Which one is the quantity adverb in that sentence? That’s right! “algo”. It adds information to the action, letting you know how busy the doctor is. Here you have some other examples! We encourage you to read them and afterwards come up with sentences of your own! Ya casi he acabado los deberes. Juan está extremadamente enfadado con María. Hoy no me apetece hacer nada. Was this post useful for you? Let us know your thoughts and share with our community your experience learning Spanish. What do you struggle with the most? Why are you learning the language? We can’t wait to hear from you!